Recently my wife and I spent a month in the USA, firstly at a conference in Cambridge Massachusetts, then a few weeks touring Utah and Colorado. We have been to the States many times before and really enjoy the scenery, places and people. Whenever we go we try to find a church where we can worship on a Sunday. This time we tried to keep to churches within walking distance of the places we were staying – quite a challenge. 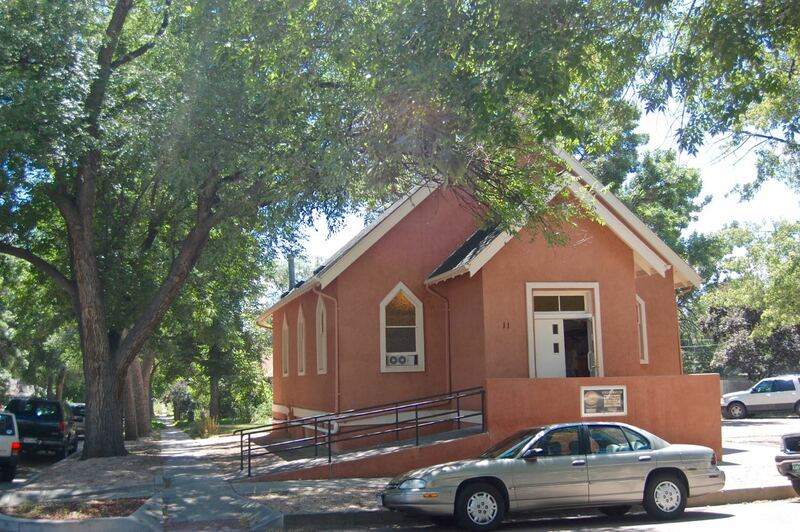 So we arrived at Colorado Springs, staying in the west part, Old Colorado City. To my surprise we had a choice of at least 12 churches we could walk to, everything from Word of Faith Pentecostal to the Metropolitan Church of Christ, and all shades in between and around. Funnily enough there were no Episcopal or Anglican churches, unless we drove, so they were ruled out. 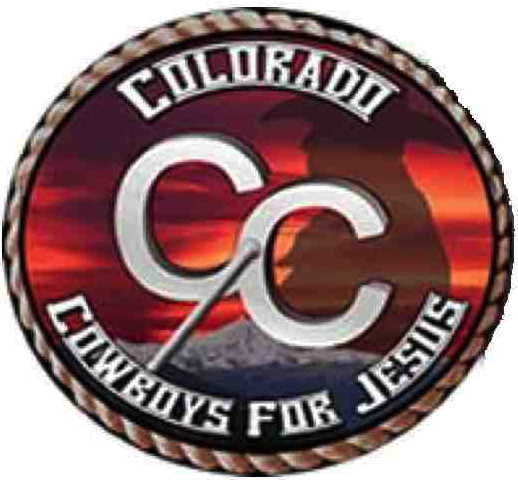 The choice was bewildering, but one church jumped out as different – the Colorado Cowboys for Jesus Church. Now I had always wanted to be a “Cowboy for Jesus” ever since I heard the legendary UK children’s worship leader, Ishmael, do a song of that title at a Spring Harvest in the 90s. I wanted to “love the baddies, not want to see them die, but want to see them living for the Lord!” . 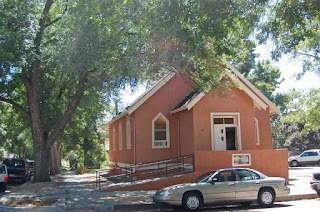 So a church of that name was a “must visit”. 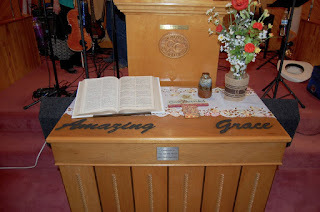 We did wonder if we would be going to worship, or to a concert, but within minutes of arriving at the church our fears were allayed by listening to the conversations of the people arriving. These were people looking forward to being with Jesus, not a musical experience. 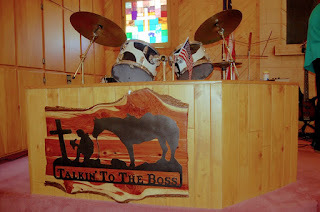 Then there were the trappings of a church building, the open Bible, the Lord’s Table, and an amazing sign in front of the drum kit that said we were “talking to the Boss”. So we did just that – started by talking to Jesus in prayer. 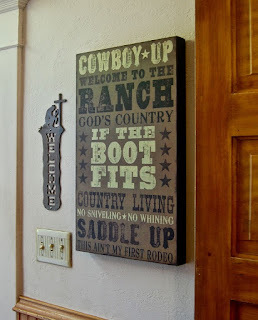 Now most of the men were in cowboy clothes, including the hats! Hats in church? What about the Apostle Paul saying we pray with heads uncovered? But at the start of the prayer the hats came off, a lovely mark of respect. Then back on for the opening song. His hands are gently knocking on your door. Outside He's pleading to come in. to wash you free from every sin. This was worship that was back to basics; simple, direct and drawing us to the Saviour. I needed it. I had spent the last week dealing with all the comments on my blogs on Anglican decline . It was time to put the data and theories to one side and enjoy the One for whom church is about. Perhaps if the Anglican churches in the West traded the wrong for the right they might stop declining!! But the words are aimed at the individual, a reminder to us all to make sure we have “seen the light”. 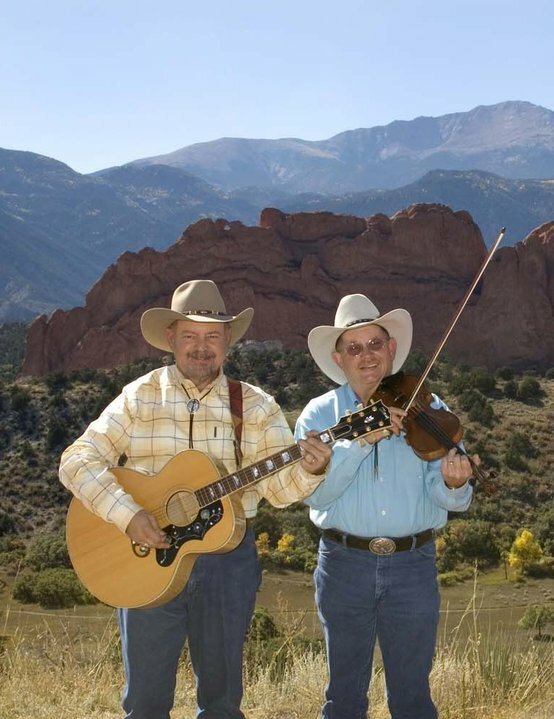 The worship was led by one of the pastors, Vern Thomson, with his co-pastor, Joe Stephenson, on fiddle. Joe also preached a very helpful sermon on discernment. I learnt many things, but one thing stood out, part of discernment is “horse sense”. 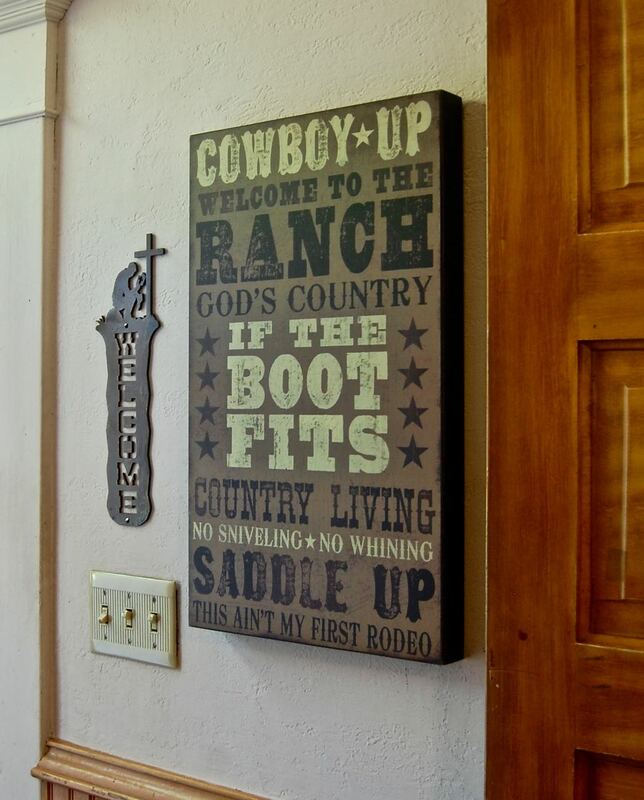 That is cowboy speak for common sense, one of those gifts that is, perhaps, in short supply in the Western church at present. 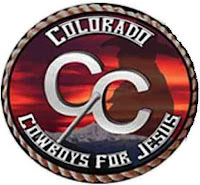 I guess if people from the UK were trying to classify the Colorado Cowboys for Jesus Church they would say it is a “fresh expression”, ministering to a niche market of country/cowboy culture. It is true that anyone in this culture would feel really at home in the church. But I think the church’s real success lies in the their simple straightforward spirituality, and their devotion to the Lord. A church with “horse sense”! After a time of prayer, with requests drawn from the congregation, we were all too soon at the end. A big thank your to Vern, Joe and the congregation for a really blessed time in the Lord’s presence. One of the most inspiring and sincere worship services I have ever been to. Joshua 24:15, Matthew 16:15-16, Acts 2:37-38, Acts 16:30-31, Philippians 3:7-11, . He Took your Place. Flatt and Scruggs. Learning Lester Flatt and Earl Scruggs guitar and banjo licks are a must for any budding electric guitar player. “I Saw the Light”. Hank Williams Snr. The central thesis of the limited enthusiasm model, on which the church growth models are based, is that church growth comes through the production of enthusiasts – the Christian believers who not only makes new converts, but turn them into enthusiasts. They also renew existing believers into enthusiasts. Enthusiasts become self-reproducing, a reinforcing feedback loop that drives exponential growth. Every God-sent revival tells this story. Conversely decline comes from the inability to reproduce enthusiasts. Excellent article. 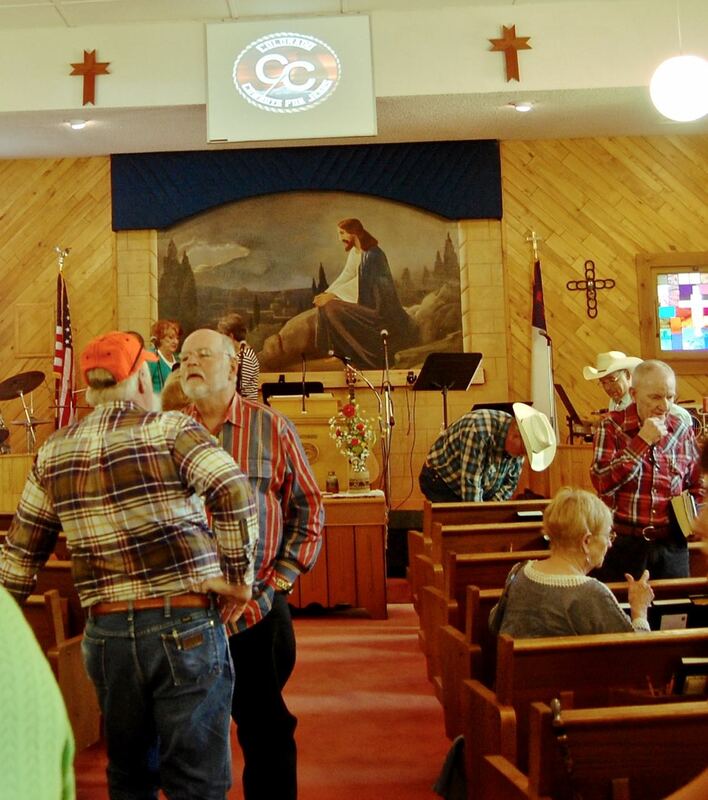 There are cowboy churches across the southwestern states and I'm glad that you experienced one. 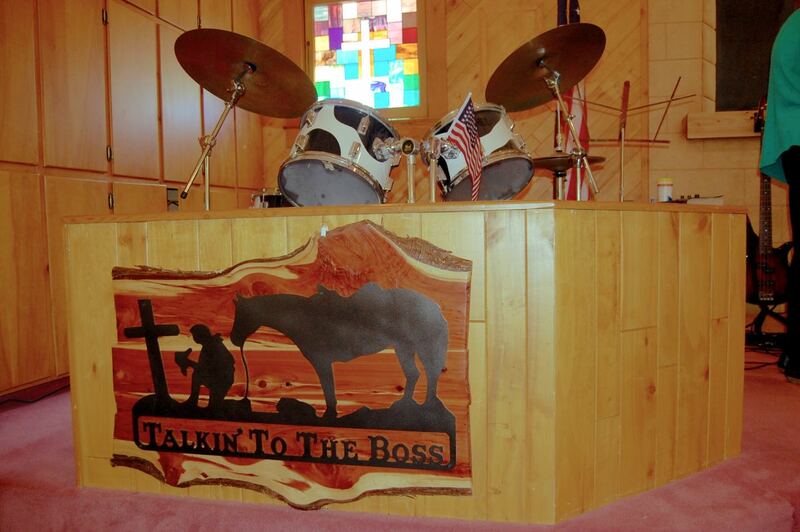 Our friend, Chad, leads worship at a cowboy church in Magnolia Texas and I'm going to share this with him. From Chad-----This is awesome! Thank you for sharing. Love his perspective and sensitivity to the Spirt in relation to different a culture. He has a compelling gift of penning that stuff down. Well done! I would love to travel and visit different churches one day. Shannon and I both have that on our "bucket list."